It was a food-world fairy tale come true. 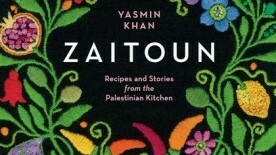 In 2013, Yasmin Khan decided to write a cookbook. 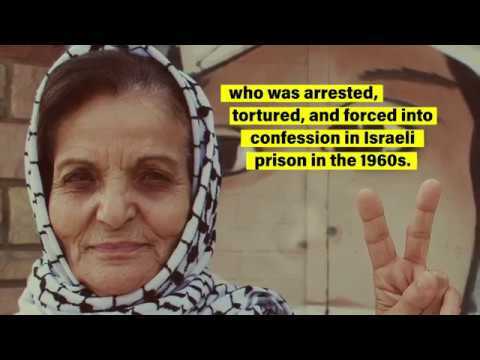 She was 32 and burned out from her work as a London-based human-rights campaigner focused on the Middle East. 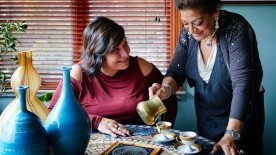 Tanoreen’s owner, Rawia Bishara, was born in Nazareth and followed her husband to the United States in 1973. 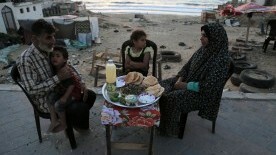 In 1998, after raising two children, she opened the place with only ten seats. It was the year 2000 and the Second Intifada was underway. 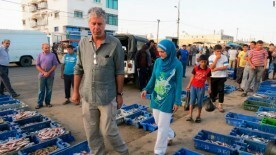 It was nearly impossible for people to cross short distances between cities and villages in the Occupied Palestinian Territory, let alone deliver beer. 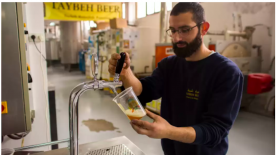 Yet Palestine’s Taybeh Brewery successfully transported 50-kilogram kegs of beer across military checkpoints on donkeys while an increasingly violent and repressive occupation escalated around them. Sometimes the way to really figure out who you are, what you’re supposed to be, where you go next, is to drop everything and find your way back home. With apologies to Mr. Wolfe: You can and should go home again—back to the beginning, to the place that made you and set you on your course. 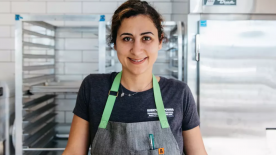 If you’re lucky, like Bay Area chef Reem Assil, it’s a journey that might even touch a place inside you that you couldn’t have reached on your own. Reem Assil on her Muhammara dip: “Muhammara is my homecoming. I discovered this addicting dip as an adult and fell in love with it when I went back to Syria in 2010. 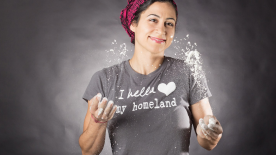 At the time, I was soul-searching in my father’s homeland and started to open my eyes to all the richness of my Syrian identity, particularly through the food and hospitality."